Amanda is out of town for Mother’s Day and I can’t think of a better way to drown my sorrows until she returns than by doing a little record shopping. I had a few errands to run today but I was still able to slip in a trip to Third Man Records and Grimey’s to make it a good Saturday. Since I am not currently “rolling in it” as they say, I tried to practice both cash flow management and moderation. All in all, I think I made a pretty decent haul without having to spend too much money. 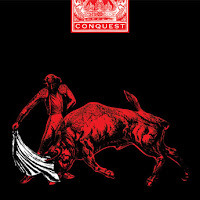 At Third Man I picked up The White Stripes “Conquest” 7” single featuring one of my favorite B sides, “Honey, We Can’t Afford To Look This Cheap” on white vinyl. I absolutely love it when Jack White taps into his country side and as a bonus, Beck shows up to play slide guitar on the track. I also picked up a “Broken Boy Soldiers” 7” single by The Raconteurs. At Grimey’s I scored U2’s “In God’s Country” 7” single, Band Aid’s “Do They Know It’s Christmas?” 7” single and Dave Bazan’s most recent Christmas offering “Happy Xmas (War Is Over)” on gold vinyl. In the age of Ebay, I know it’s easy to buy pretty much any record you could ever want, but I’ve always wanted to find a Joshua Tree-era single hidden in the stacks of a record store. I can now cross that one off and move on to the next item on the list, Sharon, Lois & Bram's Elephant Show Record. One day, Elephant, one day. In the words of Ice Cube, today was a good day.